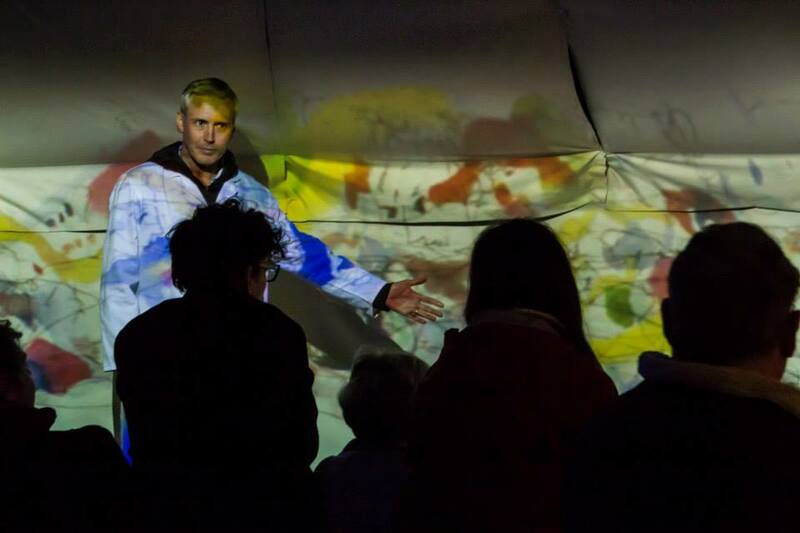 Combining cutting edge neuroscience and immersive theatre: Cerebellium invited audiences to question not only the world around us but also the world within us. Is the world surrounding you really there? And you… are you really there? Dr. Kurtz welcomes you to his laboratory, where you will be brought face-to-face with the greatest miracle of all: existence. The first two performances were presented as part of the National Science Week and was called Cerebellium in 2012 and Cerebelliium in 2013 and the third Calon Cerebellium in 2014 was a research and development project funded by ACW. The first two short projects both developed an immersive experience for a public audience that invited them to witness directly and reflect upon the precarious nature of our apprehension of a reality. A laboratory was converted to a labyrinth of sensory illusions which audiences were invited to enter one at a time. These included only recently discovered illusions that expose flaws in our sensory capacity. What elevated this experience from a ‘ghost train’ of gimmicks into something that was uniquely profound and moving was the framing of the whole in a dramatic structure. The audience were immersed in a quite realistically rendered scenario where a brain in a vat has become conscious and a personality called Kevin has emerged, who is suspended in a virtual reality produced by directly stimulating parts of the brain. Both productions followed the process in real time of a public consultation exercise into the ethics of the experiment and in particular whether Kevin should be told of his ‘real’ condition. Audiences were instructed that to choose how to vote they must ask themselves that if what we perceive as a constant and consistent reality is merely an illusion, would they want to know? It is difficult to underestimate the profound effect this work has had on audiences and the buzz created in the locality. While we struggled to get 13 volunteers for the first year there were 70 candidates for the second, all from the school of psychology. Many student participants reported that Cerebellium and Cerebelliium were the most stimulating experiences not just at University but in their lives.